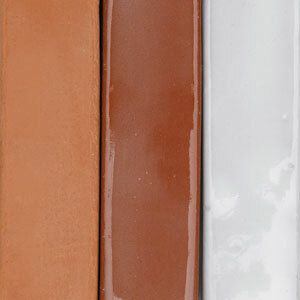 Standard Ceramic 104 Red Clay with Grog is a reddish-orange clay body when fired to earthenware temperatures (Cone 04). 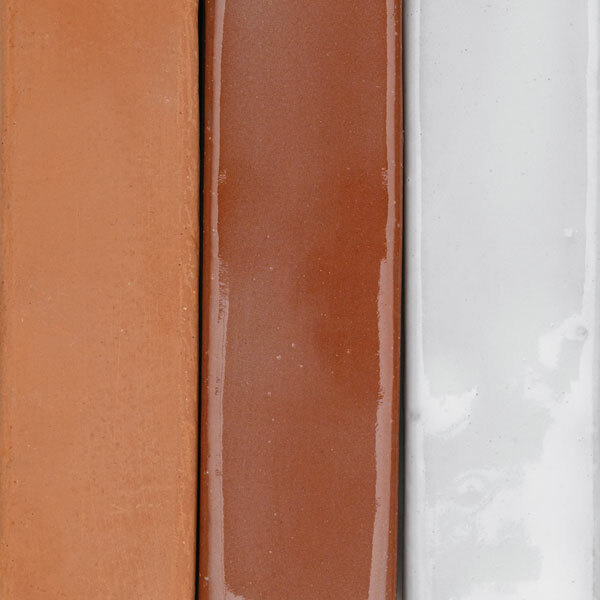 The color deepens to a brick red color if the firing temperature is increased to Cone 3. This formula is blended with fine grog, which makes it an excellent choice for both hand-building and wheel-throwing. Pieces made with this clay should be slow bisque fired to Cone 04. A firing range of Cone 06–4 is recommended. Shrinkage is 6% at Cone 06, and 11% at Cone 4. Absorption is 13.2% at Cone 06, and 3% at Cone 4. Standard Ceramic 104 Red Clay with Grog comes in a 50 lb (23 kg ) carton that contains two 25 lb (11 kg) bags. It is de-aired and ready to use.